Crystal Palace were the victors in Steven Gerrard's final Anfield appearance, as the Liverpool skipper ended his 17-year legacy on an emotional day in Merseyside. Before the post-match proceedings which involved a heart-breaking speech and tears shared by many-a-fan, Adam Lallana celebrated jubilantly with Gerrard after scoring the opener. But soon after, Puncheon would dampen spirits with a stunning free-kick, before Zaha really stunned Liverpool supporters, managing to find the net from close-range. For the final sucker punch, Glenn Murray scored on the second time of asking from the penalty spot. Anfield's volume continued to rise, the atmosphere was spine-tingling, and even the weather made a perfect setting for Steven Gerrard's final appearance at the stadium where he had manufactured a special legacy. A guard of honour was only fitting for the captain as the Reds looked to feed off the energy and oust Crystal Palace to better their league finish. Yellow-clad Crystal Palace had to weather the early storm, with a flock of Red shirts continuing to surge forward, although not possessing enough quality to threaten the goalmouth of Hennessey. Emre Can fired off target, Jordon Ibe's cross was cleared away before Jordan Henderson's free-kick was dispatched easily by McArthur. With the faith instilled in Brendan Rodgers, as an "In Rodgers We Trust" banner flew over the stadium, the octane did take a dip in the contest; until Jason Puncheon began turning the once-whispers of Crystal Palace's threats to more louder, concerning shouts, orchestrating a nice passing move to find Bolasie whose shot was deflected off target. But the Reds hardly allowed themselves to be bogged down on the offence delivered by the travellers. Adam Lallana picked up a loose ball, taking a bit of luck as the defenders went to ground, and eventually surging forward to buy some time in the box, knocking it past Wayne Hennesey and striding straight to the skipper Steven Gerrard to embrace. Crystal Palace would level later in the half, but they could have done so just moments after the opener. Bolasie proved unstoppable down the right wing, opening an opportunity for Joe Ledley outside the box, but he squandered it - firing over the crossbar. He and Puncheon continued to torment the backline, first firing wide and then a free-kick resulting in a chorus of gasps by the increasingly-nervous home fans. Eventually, all that work would convert an equaliser to dampen the spirits in Merseyside. A free-kick was forced in relatively dangerous territory, and through confusing the keeper and wall, it left Liverpool stunned. Jason Puncheon took an excellent free-kick with his left foot, tucked well away to the far bottom right corner, leaving Mignolet helpless as he was shifted elsewhere and perfectly bending to put the Eagles back in it by the halftime interval. Liverpool started positively with a refreshed Anfield ready to roar and sweeten the atmosphere on the night. After Sterling and Coutinho combined to cause some jitters in the Palace area, Steven Gerrard found his successor Jordan Henderson who saw his shot blocked, before Ibe was unable to produce anything threatening when the ball came back out to him. Like the problem that had persisted throughout the campaign, the Reds once again let things go in the attacking shift, with the Eagles acquiring a decent penalty shout; as Skrtel appeared to handle the ball. Bolasie remained a threat that couldn't be extinguished, while Liverpool's movement forward never materialized into goals, Henderson as the latest culprit to squander a chance, with a long-range shot from Henderson missing the mark. Approaching the hour mark, Alan Pardew made a switch. Little did he know that within seconds, that substitute would flip the game on its head. Chung Yong-Lee made way for Wilfried Zaha, who found space at the back post to meet a ball that made its way to him, guiding it into the net and really take the wind out of Liverpool's sails. Just for a split second, Liverpool thought the moment was there. From outside the box, the Liverpool skipper was teed up to let fly and net a screamer synonymous to his greatest moments, but it was low, weak and ease for Palace's keeper to make the save. With Liverpool looking drained, their efforts were futile, but they did provide another opening for a Gerrard fairytale. From around 25 yards, he lined it up, only to fire high and wide, further diminishing hope as Liverpool's time ran out. Adding insult to injury, Liverpool's panic opened an opportunity for Crystal Palace to once again cripple the emotion and wrench the hearts of their opponents. Zaha went down in the box, allowing Glen Murray to step up and score the penalty, off the rebound after Mignolet made an initial save. It may have secured another loss in a devastating season for the Reds, but that didn't keep them quiet when it was time to bid farewell to their club legend. "You'll Never Walk Alone" was sung triumphantly, as the players exited. They would all soon make their way back on to the field, sporting Gerrard's number before the man himself would speak to the fans. "I've been dreading this moment. I'm absolutely devastated I'm not going to play in front of these supporters again", he emotionally spoke. In a moment that will be remembered not only in Liverpool, but in football, he made his rounds of Anfield, applauding the fans as tears were shed universally by Reds on the globe. A return to Liverpool in some capacity remains a possibility. Now, they move on. This loss to Crystal Palace won't be remembered, but the exit of Steven Gerrard certainly will. Thank you for all the moments you have given us, Steven. 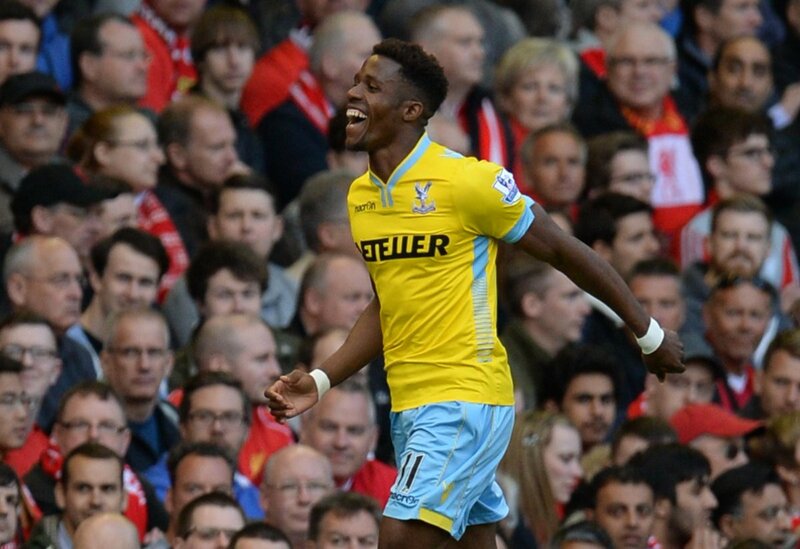 Crystal Palace stun Liverpool and spoil Steven Gerrard's final game at Anfield.